Bach Unwigged: The Man Behind The Music : Deceptive Cadence In his new book, conductor John Eliot Gardiner searches for clues to uncover what the great composer's life and personality were really like. He finds a man full of contradictions and unfathomable music — even "a great guy to go out and have a beer with." This rare portrait of Bach, by Elias Gottlob Haussmann, hung in John Eliot Gardiner's home during World War II. 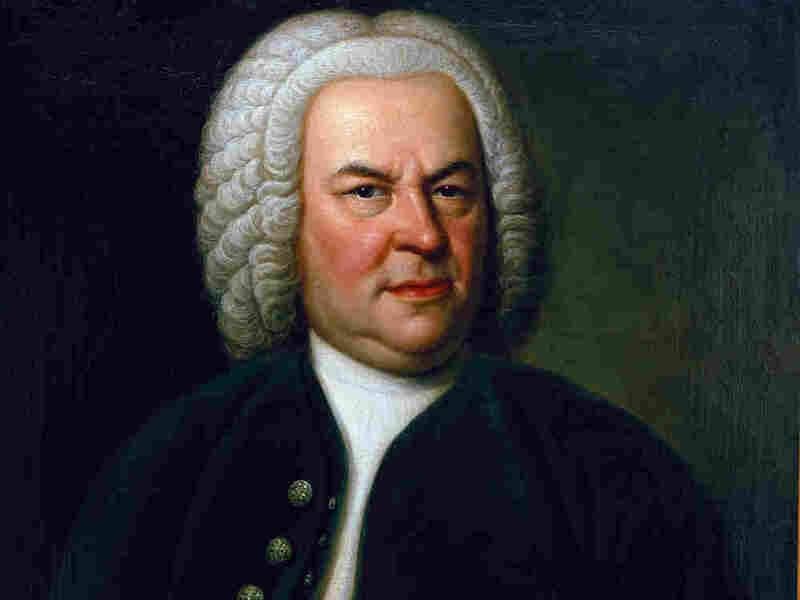 Johann Sebastian Bach has been a central figure in the life of British conductor John Eliot Gardiner since he was a youngster. On his way to bed, he couldn't help glancing up at the famous 18th-century portrait of Bach that hung in the first floor landing of the old mill house in Dorset, England where Gardiner was born. It was one of only two fully authenticated portraits of Bach by Elias Gottlob Haussmann, painted around 1750, and came to the Gardiner home in a knapsack, delivered on bicycle by a Silesian refugee who needed to keep it safe during World War II. Bach's music also hung in the air of the Gardiner home. Each week the musically inclined family gathered for serious singalongs, which included Bach's motets. It's a scene Gardiner sets at the beginning of his new book, BACH: Music in the Castle of Heaven, published today by Knopf. From his childhood interactions with Bach, Gardiner would grow up to become one of the composer's greatest champions, creating his own orchestras (English Baroque Soloists and Orchestre Révolutionaire et Romantique) and choir (Monteverdi Choir) to play the music in historically informed performances. Gardiner's obsession with Bach culminated in 2000, when he and his musical forces (and a team of recording engineers) embarked on a massive pilgrimage. 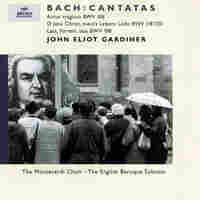 Traveling around Europe and the U.S., they performed all of Bach's sacred cantatas (about 200 of them) on their appropriate Sundays in different churches. 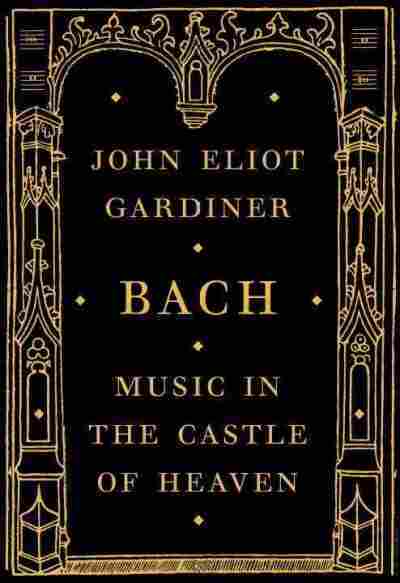 Gardiner's new book was more than 12 years in the making, and one of its goals is to get to know Bach the man a little better, since scant information has been passed down about his personal life. 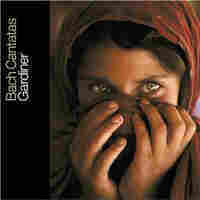 Bach was filled with contradictions, Gardiner discovered. He had anger management issues, and yet he had the capacity for tenderness. "He had normal flaws and failings, which make him very approachable," Gardiner says. "But he had this unfathomably brilliant mind and a capacity to hear music and then to deliver music that is beyond the capacity of pretty well any musician before or since." Despite Bach's contradictions, Gardiner says, in my conversation with him below, the composer would have been a great guy to hang out with. In your book, you're saying Bach's music is well-known, but we end up knowing very little in comparison about Bach the man. How do you try to crack that nut in your new book? Well, with great difficulty and that was a big challenge. But I think basically there are three elements that you have to draw on. Number one is the contextual information that you can gain from the sources, from the local, parochial sources about conditions in Germany at the time of Bach's birth, conditions pertaining to the schools that he went to, conditions pertaining to the whole difficult social life of Germany recovering from the 30 Years War and on the brink of enlightenment but still hanging on to a pre-Galileo view of the world — very medieval in a way — and not allowing yet the full flood of enlightenment thought to change their weltanschauung. The second area which I found very useful to explore was his own annotations and comments that he introduced in his copy of Abraham Calov's Bible commentary — Calov being a 17th-century theologian — a book in Bach's private library which Bach annotates very carefully and very meticulously and things that draw his eye like, for example, how to deal with the concept of anger and that Calov makes it clear that you can be, you must turn the other cheek if somebody is being angry about you or if you feel angry in response to a personal slight. But if the attack is on your profession, your skill, your office, not only can you respond with anger but you should respond with anger. And that to me explains a good deal of Bach's very competitive and antagonistic response to the authorities who were employing him at different stages in his lifetime, and made life difficult for him, or in his own words, "caused a life of envy and hindrance." So that was a big resource. And the third area of research that I really plunged into with a great deal of enthusiasm was of course the evidence that can be gleaned from a deep immersion into his compositions of music with a text attached to them. In other words, the passions, the motets, the Masses and above all the cantatas that he wrote in such a concentrated period in Leipzig in particular. And I was fully aware in writing the book that I was treading on treacherous ground in so far as one man's reading can be very different from another person's and it's a very subjective source of evidence, if you can call it that. But I felt convinced that my deep immersion into that music did allow me the occasional glimpse of the chinks in his armor plating as it were, when his personality sort of grinned through the fabric of the music. And that gave me huge encouragement to persist and to try and get to the end of the book, because it's not, as you I'm sure realize, a conventional life at all. About your immersion into the music. You mention in the book that part of your aim is to show how Bach's approach in his vocal music reveals his mind at work, his temperamental preferences as well as his philosophical outlook. So how does the music reveal the mind? Well, music is a much more elusive and ephemeral form of communication than words alone and yet it has its own precision. I mean, it's Mendelssohn who famously said that he found that music was much more precise than words. The problem comes in actually defining that precision and saying what exactly the music is saying. But I think the one thing you can extrapolate from studying Bach's setting of religious texts is that there is a counterpoint going on between the meaning of the texts per se and the affect and impact of the music surrounding the text setting, and it divides into two broad categories, really. One is collusion and a direct sense of sympathy and empathy between the import and the meaning of the words and the type of music that Bach uses to surround it and explain it — the text. And then there's at the other extreme, collision — those moments where the music and the text seem to end up pointing in opposite directions. 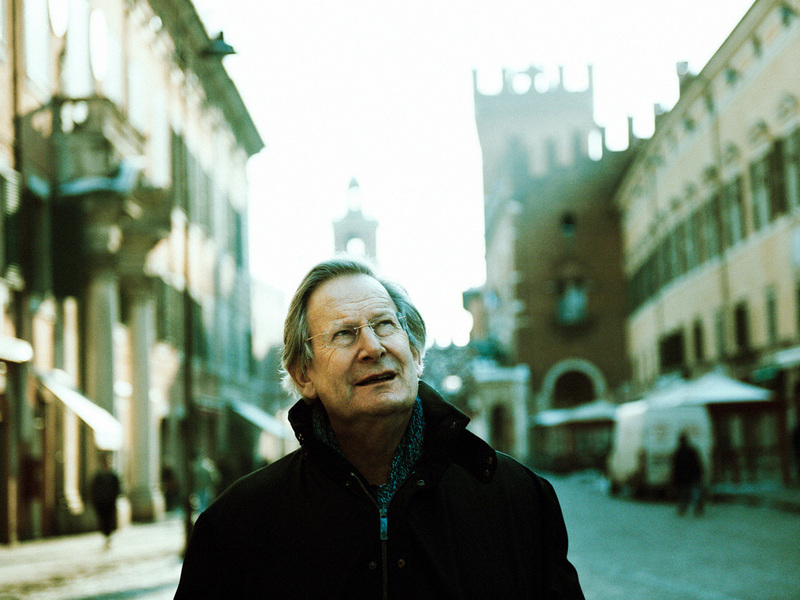 In his new book, conductor John Eliot Gardiner searches for the real J.S. Bach. Can you give some examples of those two types? 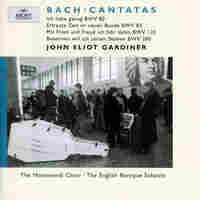 Well, there are quite a number of cantatas where the text is quite genial and talking about, "God is right, all you have to do is to comply and just get on with it," and Bach is writing music of wonderful frippery and irrelevance as if to pull the leg of the listener. It's not that he's saying, "God isn't right," but he's saying, "You don't have to take it in such a literal way — you can enjoy it." The cantatas are full of instances where just by prolonging a single syllable or a single word or repeating things, he gives a different emphasis than the one the preacher would have done when announcing the scripture from the pulpit. And music has this extra — particularly Bach's music — expressive potency which is so extraordinary and it's something that leaps out of its initial context and appeals to us now in the 21st century in a way that perhaps he never acknowledged. I mean, he was writing this music for a very specific moment, for a very specific time of year, in a very specific liturgy in a parochial context. And yet such is the breadth of his vision that it can reach us now. In a similar vein, you mention in the book that you were "keeping a weather eye out for the instances in performance when his personality seems to rise through the fabric of his notation." And I'm wondering if there are specific examples you have in mind, where Bach the man, whom we seem to know so little about, rises up through the music. There are quite a few instances in the cantatas but they're not that well known. I can give you one instance in a piece that is very, very well known and that's the B Minor Mass, where I think that really applies. In the credo there is this monumental chorus, "Confiteor unum baptisma" — I believe in the universal baptism and the resurrection of the dead. And Bach starts off in really good, solid Lutheran card-carrying fashion by inserting a cantus firmus, a sort of almost plainsong statement, in the basses followed in stretto with the altos and then with the tenors. And you think, "Oh, this is a really major ex cathedra statement" — and so it is until the point when the music seems to crumble and it just simply dwindles and the tempo slows down. These great girder-like proclamations cease and the music enters into a sort of twilight zone full of dark modulations. And a searching quality enters in the music to the point where you don't know which direction it's going to move in. There are extreme insecurities of harmonic movement and it feels at that moment that Bach himself is saying to himself and allowing us to share his momentary doubts as to whether there is going to be a life beyond our earthly existence. And only at the last moment is there a scalar descent in the bass line and suddenly there is this eruptive chorus with trumpets and drums, "And I look for the resurrection of the dead" — Et exspecto resurrectionem mortuorum. And suddenly, there's a sprint to the line and it finishes in a flourish and that's it. The impressiveness of that jubilant chorus, which is so affirmative, would I think be a lot less if it hadn't been for the transitional patch of murky self-doubt that comes before it, and I think that's something that humanizes Bach the man to us. It makes us feel that he, too, had his doubts and had his wobbles. You have a very intriguing chapter in the book called "The Incorrigible Cantor," where you talk about a side of Bach that I think many people, even fans of his music, really don't know that much about. Well, that's all to do with anger management and attitude towards authority and I think the seeds of that are to be found in the unsavory atmosphere that pertained in the schools that he attended and in the gang warfare that took place in the towns between the rival choirs who were busking to raise money for their schools and their education. Even though you can't pinpoint Bach's direct involvement with any of these incidents, that is the typical background of the schools that he was attending. And it all comes to an eruptive moment in Bach's own life when he's age 18 and in his first job in Arnstadt, and he has a silly disagreement with a bassoon player who can't manage to play an obbligato little riff that Bach writes for him, which is difficult. But, patently, the guy made a bit of a mess of it and Bach swears at him and calls him something quite insulting. And the bassoonist, in order to gain his own back, awaits for him with his gang in the town square. When Bach is on his way back from the castle going home, they set up on him and with knives and cudgels and Bach is obliged to defend himself by drawing his sword and there's a nasty incident and eventually they're separated and Bach goes on his way. And the next day he goes to the Consistory and lodges a severe complaint and the Consistory don't back him up, they give the moral victory to the bassoonist. And that, I think, is a sort of paradigm, or it's a foretaste anyway, of the problems that Bach encountered at so many different stages in his career. Like when he was in Weimar, he is really disappointed to be passed over in the hierarchy and he doesn't get appointed Kapellmeister when the guy that's appointed ahead of him is manifestly less talented, less competent. And Bach looks for a job elsewhere and he gains a job elsewhere and the Duke of Weimar imprisons him for cheekiness and subversive behavior and on it goes. When he gets to Leipzig, he signs a very elaborate contract with the town council and he falls foul of their regulations in so many different ways and he finds himself in battles either with the clergy or with the town council or with the headmaster of the school, and it wears him down and he then describes, in one of the few private letters we have, how his life is full of "vexation and hindrance" and how the people here in Leipzig are little interested in music and have a curious disposition. Right. You reveal in your book it's so much different than that. Tell us just briefly what a day in the life of Bach might have been like when he was in Leipzig. Well, he was responsible not just simply for writing the music but also as a schoolmaster, for disciplining and for being a kind of house father to a lot of the boarding school choristers who were in his charge and who had their dormitories right up next to his private living quarters in the Thomas school in Leipzig. So how Bach had any time for a private life, God knows. But he would have taken prayers. He would have taken early lessons. He would go into daily rehearsals and daily classes, and then he would get to his desk and start composing the cantata for the week that was going to last up to 35 minutes depending on the occasion. And it didn't end there. He then had to see to its copying out. And there was this little kind of mini factory, or sweatshop, of copying that was under his supervision with students, sometimes family members, doing the copying out of the parts of the score, readying for the one and only rehearsal. There may have been a few private, tuitioned rehearsals when he could have dealt with particularly difficult solos or obbligatos but basically it was rehearsed in breakneck speed on a Saturday before the performance on a Sunday. In addition to that, he was also assessing organs in different parts of the country, around Saxony, and he was writing recommendations, he was supervising a harpsichord hire system. Some of his works went through publication and he was publishing other people's works. He was tireless, absolutely tireless. And he kept up that rhythm for at least the first three years — before he either burnt out a bit or else became disillusioned by the lack of support and responsiveness on the part of the town authorities from the clergy. And not to mention that he was a father and a husband and a bandleader and a recitalist. Your book is not a typical chronological bio of Bach where he was born here, then he did this, he did that, and then he died. It's not intended to be a conventional life work. Instead you tackle aspects of Bach in each of the chapters and I'm wondering why you chose that approach. Well there are plenty of life-and-works of Bach and I didn't feel qualified to write that and certainly not to speak with authority on the keyboard music and the organ music in particular, where that's been dealt with very well by other authors. Where I did feel there was a strong case for emphasis was on the church music and particularly on the cantatas — the music that I know best. And so what I tried to do is to take the reader by the hand and take him or her through a series of different perspectives of looking on Bach. There is a fault line running right through his personality, I feel. I start off explaining in the preface why I think the book could be written that has a different approach. Then in the first chapter I describe my own approach, my own curious and upbringing and experience of Bach, which at the time it didn't strike me as being odd or exceptional, but it was only when I got to school that I realized that it was a bit odd and how I came to interpret Bach and to have a lifelong fascination with him and found that the models that were held up before me of how to perform him were to some extent unsatisfactory and how, if I was ever going come to terms with his music, I would have to do it in my own way, which meant forming my own choir and a period instrument orchestra and how that led to the Bach Cantata Pilgrimage in 2000 and so on. Tell me a little bit about the wording in the title of the book. 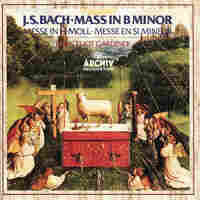 It's called BACH: Music in the Castle of Heaven and that title seems to me to put Bach up on a pedestal a little bit. And that's the kind of veneration, or 'hagiolatry' as you put it, that you seem to try to work against in the book. Yeah, I guess you can accuse me of that because I do revere Bach. The castle of heaven is a translation of the Himmelsburg in German. It was a chapel in the Red Castle of the Dukes of Weimar from which Bach performed, and the music floated downwards, out of sight of the Duke and the congregation. And what I was trying to suggest by calling the book Music in the Castle of Heaven, is that Bach was producing the most heavenly music that perhaps has ever been heard on Earth and yet his sights were set on the castle of heaven of performing music as a good Lutheran to a much higher degree of perfection in the afterlife. And I'm trying to suggest that we're the beneficiaries of a kind of celestial vision. Well, I think we are. After studying and performing Bach's music for so much of your life — and now you've written this book — you must feel somehow like you know him. So what is the answer? What was Bach like? Convivial, cantankerous, remote, present, full of humor but deeply serious. All dichotomies. But a great guy to go out and have a beer with. Do you feel like you're closer to knowing who he is after writing this book? Yeah but I might be just deluding myself, but yes I do. Do you think he was basically just a normal, not too interesting, guy who happened to be a genius at writing music? He had normal attributes. He had normal faults and failings which make him very approachable, but he had this unfathomably brilliant mind and a capacity to hear music and then to deliver music — in terms of improvisation and then in notated music — that is beyond the capacity of pretty well any musician before or since, yes. You know it's quite obvious that for this book — at over 600 pages including a glossary, a chronology, 20 pages of notes — that you've done countless hours of research. And I'm wondering what was the single most surprising thing you discovered about Bach that you hadn't known before? I think that would have to be his compassion towards those who've lost a dear one. Where you'd expect it to be gloomy and lachrymose, Bach writes music of ineffable tenderness and consolation and music that doesn't require you to be a Christian, or let alone a Lutheran, to be able to have access to that wonderful compassionate solace that his music can bring you. You can hear it in some of the motets and you can hear it in some of the cantatas, famous ones like Ich habe genug, but also in the cantatas for the 16th Sunday after Trinity which are particularly concerned with infant mortality. You sense that he's really befriended death in a way that no other composer I know of has done to that degree, and with that degree of persuasiveness. That's something I cherish, and that brings me personal comfort. And also I can extend it by suggesting people listen to or approach or perform that music if they're in a state of bereavement or loss. If you had to pick one piece of Bach's music that you have recorded to recommend to someone who's not really all that familiar with Bach, what would you pick? Because it's a precocious, early example of what I've just been talking about: somebody who is dealing with eschatology, dealing with the ends of things, dealing with the eternal mysteries of life and of death and of finding a path through all that pain and grief to find a serene ending.